Is My Partner in Profit a Scam? Why I Don’t Recommend it. 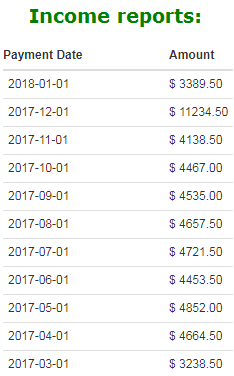 While there is a lot of potential behind My Partner in Profit, I want you to know exactly what you’re getting yourself into before you decide to join/not join it. Personally I will not be recommending it and the main reason why is because you are going to be referred into an MLM style program that will in my opinion bound you into a system that requires a lot of investment and time spent on succeeding in it. This is really a massive referral network into a company called Sisel which I will talk about in a moment. 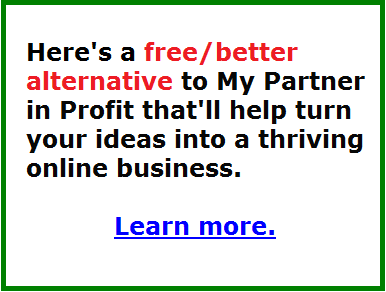 My Partner in Profit was created by Paul Birdsall, whose previous program I’ve done a review on. I actually like Paul and although I didn’t recommend his previous product to people, I did find that the guy is pretty transparent and what he offers is pretty decent. First of all, if you visit the main sales page, it is said you can get access for free. This is technically not true as I found out. What happens is that you create a membership and afterwards it leads you into an orientation video that is a little over 20 minutes long. In this video, Paul explains in a very “political way” what the opportunity is. It’s basically him talking about this amazing system he created to help people and businesses generate wealth and how he’ll show it to you. Basically this system will help you generate leads and turn them into clients/sales. That’s really it. There is no in-depth explanation as to what the “system” really is, which is another minus for me. What happens next is that if you click through is a 40+ minute video sales page where Paul is going to actually sell you what he is promoting: Membership to an MLM called Sisel. The initial investment you’ll have to put in will range from $200-$1,000. Sisel is a very large international company which sells products of various sorts such as health, weight loss, wellness and more. Basically like Amway. This company also offers a compensation plan to get people to promote it. This is essentially what Paul is doing. What is going to happen is that if you register, you will do so under Paul and what you invest into the company, Paul will make a portion off since you are his referral. Then you will technically use the system Paul put into place to get other people to join under you for which you will make money off. But the way this system works, there are more compensation opportunities in that sense that if your referrals refer other people, you too will make a portion of their investment and potentially earn it on a monthly basis. While this does present a very large opportunity in making consistent income monthly, I did have issues understanding their compensation plan which you can actually look at if you check out their main website. It’s 1 page long and presented in an info graphic, but honestly I couldn’t really get into it. But from what I gathered, you won’t really have to worry about this if you join under Paul because instead of promoting Sisel itself, you’re going to be promoting My Partner in Profit, which you will be earning a commission from. Then the program is going to refer those people into Sisel for which I assume you too will make money from. Paul actually didn’t recommend checking out the Sisel website. Well too bad. 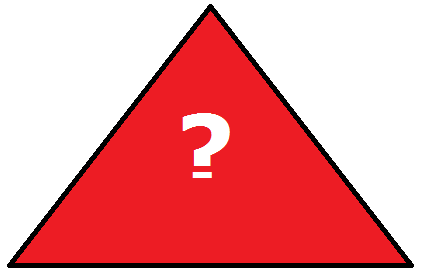 I do my research and after looking at Sisel, I have come to the conclusion that Sisel International is NOT a pyramid scheme. The main reason for this is that they actually have products being offered at a fair price. While their compensation model in my opinion is difficult to understand, the 2 main components I look for are price and if there’s a product being offered. In Sisel’s case this exists which makes it a legitimate company. While I can’t speak for the quality of their products since I haven’t tried them, I do believe there is obviously a need to make sure they are in fact high quality. Otherwise people will never buy them. Paul Birdsall is pretty transparent about what you’re going to do. There is potential for a lot of money to be made since it’s in Paul’s best interest to help you sell. You make money, he makes money. Sisel is a legitimate organization. It’s not really free to join the company. You just get access to a sale’s page essentially. You are signing up to an MLM. I am personally NOT a fan of MLM programs. See why. You will have to put in a lot of time and effort to succeed within this business, no matter how much Paul says his system does much of the work for you. You’ll need to invest anywhere from $200-$1,000 to get started. 3 stars out of 10. There is potential, but I think it’s too complex and there are better alternatives. Here is my #1 recommendation. I am not a big fan of network marketing & MLM. I feel it bounds you into a system that requires you to invest a lot of money and time into. Certainly when you’re trying to build an online business, there will be necessity to invest time and money, but through MLM’s, I rarely see there being a lot of success. If you possess online marketing experience, you can certainly make this work and be profitable for you. What really happens with this company is that through Paul, you are given a “road map” to succeed with Sinsel. It really is in Paul’s best interest to see that happen because in the process, he will earn more money so that basically creates incentive on his part to make that happen so that’s the good news. But in my personal view, if you’re going to succeed online, I feel it’s much better to do it through a personal idea that you wish to turn into a business. In fact, when I first stumbled upon the sale’s page of Paul’s, I assumed he was going to show me how to create a profitable business based on my interests, not get me into an MLM system. But back to my main point, MLM isn’t for everyone and certainly a lot of people do not succeed. In my opinion, there are better ways to create a stable online income. If you have a personal opinion/experience with this program and you would like to share it, I’d love to hear your thoughts! Hi, I have read the reasons you give and why you would not recommend My Partner in Profit as a solid business. I like the reasons you gave and I want put it behind and afresh with a true honest way to make a living on the internet. I noticed that your #1 recommendation is Wealthy Affiliate, of which I am a free member but I was reluctant to continue until I read of your experiences as an internet marketer and I saw your proof of earnings. You give hope and I want to start my lessons again in Wealthy Affiliate from the beginning to the end. I would like your help along the way as I have a big family and friends to recruit to Wealthy Affiliate and they all are young people who would be grateful for the right direction. Hi Anthony, if you were already a member, odds are you can still rejoin, but not through me. You can certainly try here and we’ll see what happens, but generally the referral structure of WA keeps the original referrer as the person who will receive the credit, meaning, whoever you joined under the first time will get the credit again. I would still rejoin. Regarding the “recruiting”, I really want to make it clear that you are not joining an MLM here. While it is a great program, it may not benefit all of the people you wish to pitch it to so what I would do is study their lessons and then see if it’s appropriate.